Another interesting concept is that of the mysql order by desc limit. It is recommended that whenever you observe a particular query value that is being provided by the user then you should always escape that value. This particular step is taken so that you can succeed in preventing any kind of SQL injection. The SQL injection is nothing but a common hacking method. This is different from the concept of mysql order by desc limit. This hacking method is performed to misuse or to destroy the data that is present in your database. In the mysql.connector module there are quite a few methods that you can use to escape the value that is being returned. The first is the placeholder ( % ) method. 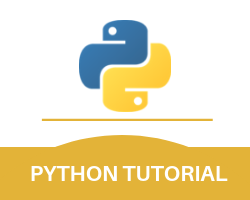 With this, we finish the python mysql where part of our entire Python MySQL tutorial.